I don't really remember what was my first novel I read for the first time in my life. Probably one of those great books for children, like Mark Twain's "The Adventures of Tom Sawyer" or several of those with treasure hunt in story line with pirates and children in main character roles. It seems that it happened ages ago and whichever the book was, ever since then, especially in first decade or two after I learned to read, I swallowed a big amount of novels in realms of science fiction and different variety of adventurous stories. If I add tons of magazines, short stories and comic books to my reading habits back then, I think I can't be too much wrong if I say that my personality is shaped, more than I am ready to admit, with that big pile of paper I held in my hands decades ago. My early reading gave me one more thing besides pure knowledge and as weirdly as it sounds it is the smell of paper. Especially, the odor of printed paper just got out of printing press. Naturally, I don't read that much today but every time when I get new book, first thing I do is one long breath with my nose immersed into pages. This weird ritual is always triggering my imaginations to the edge and always returning all the memories from that early days when I used to read even on the cherry tree in our front-yard, hidden behind leaves five meters from the ground. One of those books I swallowed in early 80s, probably was "Rendezvous With Rama" by Arthur C. Clarke. To my pleasant surprise, last weekend I found it on my mother's shelf in our weekend house and read it again. To be completely honest, I cant be hundred percent sure that I read it before but tiny hint of the "smell" and little things with my brain knowing what is going to happen next is telling me that this is not the first time I am dealing with this master piece. Written more than 40 years ago it contains all of what I am looking for in one great science fiction novel. The feeling was the same when I read captain Nemo's adventures within Jules Verne's "Twenty Thousand Leagues Under the Sea" and "The Mysterious Island" and that was elegant plausibility of the story. In all those novels, even though the scientific background was definitely fictitious, I couldn't get rid of the feeling that I was reading ordinary adventure tale and all the science in the book was already invented and described technology already exists. It was probably the same feeling how one 'nerdy' teenage boy in late 19th century felt after reading Jules Verne for the first time. These books are more than novels. They are ultimate inspiration for future discoveries. Many of them came true in the years, decades or centuries after they are printed for the first time. Don't get me wrong here, I love reading and watching all the star wars and treks or any other modern 21st century SF piece for that matter or even any super-powered 'vigilante' stories and I do recognize scientific predictions in there as well, but still, they are not something we call "the classics". In a word, they are less science fiction than they are entertainment. At least with me. 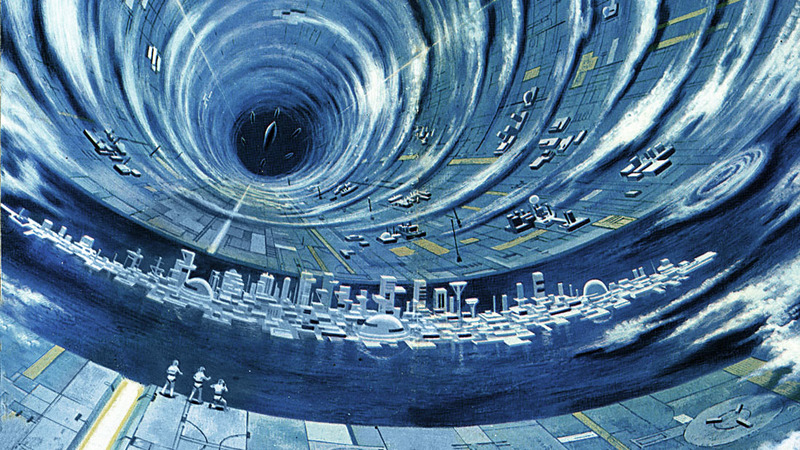 "Rendezvous With Rama" is definitely a classic, the jewel among SF and today, after 40+ years, it seems that film industry matured enough by now to give this novel a worthwhile screen. I truly hope Morgan Freeman enthusiasm about making this movie will finally get into production and we will soon see another odyssey in space like we had before with HAL 9000. I will not spoil the reading for all of you who are planning to take it in your hands but if you do, you will be enjoying Arthur's mastering of gravity within one artificial space city, one glimpse to the possible outcome of human society when it spread toward other Solar system planets and satellites and all the wonders of 22nd century technology that might be in use. With this novel, Arthur successfully predicted asteroid monitoring system that came true only 30 years after the book premiered in form of continuous efforts to discover and study near-Earth objects (NEO) named after fictional "Spaceguard" organisation, controlled by futuristic descendant of our United Nations, called United Planets. Besides Jules Verne and Arthur C. Clarke, the third science fiction writer on my all-time list is of course Isaac Asimov. The father of robotics and famous "The Three Laws of Robotics" is standing right next to Arthur C. Clarke or the vice versa, according to their "Asimov-Clarke Treaty of Park Avenue" in which two great man of 20th century during one shared cab drive in New York stated "that each author would refer to the other as the world's greatest writer in his specialty - and refer to himself as merely second-best. Under these terms, Asimov would crown Clarke as the best science-fiction scribe ever, while Clarke would anoint Asimov as the greatest science writer. Of course, both could publicly crown himself a close second to the other." The reason why Isaac got the lead role in their treaty for "science writer" and won only second place within science fiction realm was the fact that he published numerous non-fiction papers, magazine columns, essays and books within popular science and with other authors established one complete new stream of science journalism. He dedicated lots of his writing time publishing scientific articles for several encyclopaedias as well, including "The Encyclopaedia Britannica" the leading all-knowledge book in pre-internet history. However, if I glimpsed back again to my teenage years when I hooked to science fiction and popular science, the peak of productivity of Isaac, Arthur and especially Jules was already in the past or started fading out from my point of view at the time. 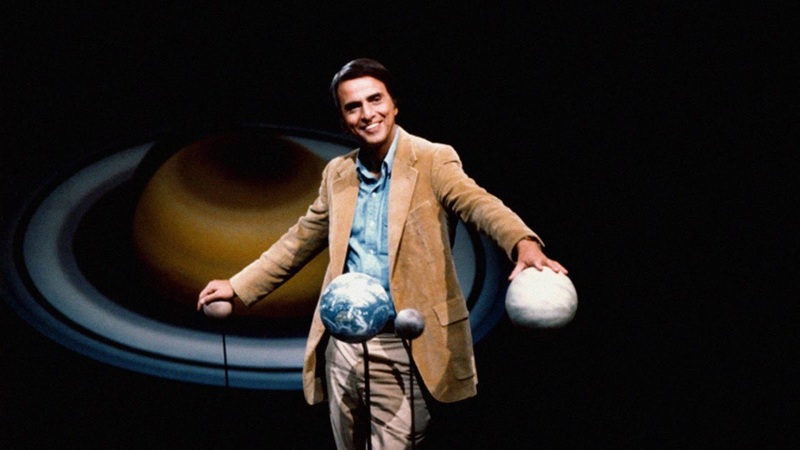 It was also the time of growing popularity of television and documentaries and it was the time when Carl Sagan with his personality and ability to reach to all kind of audience came into focus. The most vivid memories from those days was his two books Cosmos and Contact, both I still own in my small book collection along with "Cosmos: A Personal Voyage", DVDs extended edition of his famous TV series. In past couple of months I eagerly waited for Neil deGrasse Tyson's spin-off of the show and after first episode it was simply amazing, familiar, informative and for me, highly emotional at the end. I am looking forward for upcoming 12 weeks and I couldn't think of a better man, who would jump into Carl's shoes and continue the magic with same enthusiasm than Neil. He did the great job and I am sure with great production and CGI effects and produced by proven trekker Brannon Braga, this show can only be better and better. Perhaps it is too early to tell, but I am sure that there is only one show currently in production that is standing side by side with new "Cosmos: A Spacetime Odyssey" and this is, you probably guessed, "Through the Wormhole with Morgan Freeman" which is not afraid to go to the scientific edges and the world of bold theories. The 20th century is a long gone but Jules, Isaac, Arthur, Carl and their books and legacy will stay forever. If I would have to choose just one word to describe these four men it would be "inspiration". Because this is exactly what they gave me and if you are in right period of life, it literally and irretrievably opens your mind.